The LR Wireless Receiver comes with 75 MHz tuning bandwidth and with tracking front-end filters. 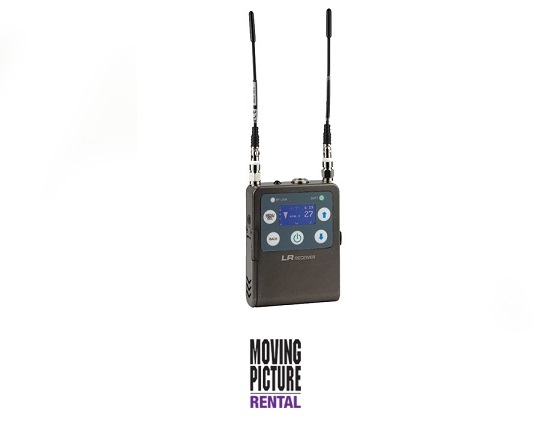 When paired with a transmitter and microphone it can be used to capture audio. Other features to help provide good clean audio include compatibility modes to allow the receiver to operate with older analog receivers. Dual antenna diversity helps to improve range and resistance to dropouts. There is also a built-in RF spectrum analyzer and SmartTune scan, which make finding a clean frequency on-site quick and easy.